Professor Tim Hubbard is Head of the Department of Medical & Molecular Genetics at King's College London and Director of Bioinformatics for King's Health Partners. He is also Head of Genome Analysis at Genomics England. Until 2013 he was Head of Informatics at the Wellcome Trust Sanger Institute where he was one of the organisers of the sequencing of the human genome. 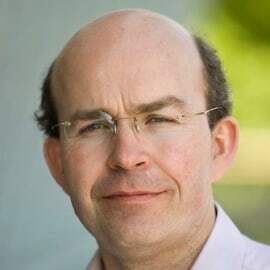 In 1999 he co-founded the Ensembl project to analysis, organise and provide access to the human genome and from 2007 led the GENCODE project to annotate the structure of all human genes. He is also actively involved in efforts to improve data sharing in science and develop open access publishing resources. He is a member of the cross funding agency Expert Advisory Board on Data Access (EAGDA) and is chair of the Advisory Board of Europe PubMedCentral.